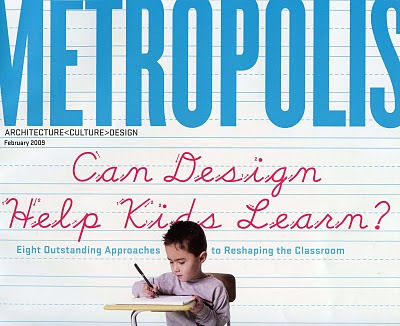 “Can design help kids learn?” asks last February's issue Metropolis Magazine. Of course it can! I quickly opened the magazine and could not wait to read the article. 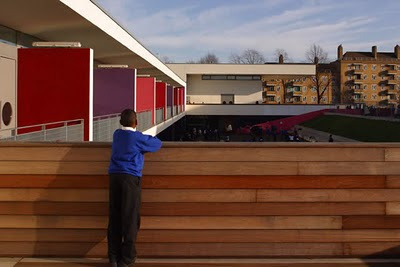 Featured were elementary through high school projects built nationally and internationally by notable architects. The new facilities sparkled. Facing tight budgets, and financial shortfalls, not every school district can build new ground up buildings. 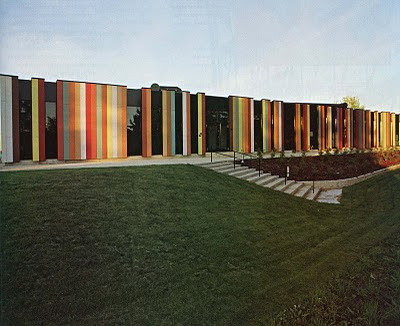 Acknowledging the idea thoughtfully designed buildings can enhance learning; can we use color and paint as an effective and inexpensive tool to enliven the educational environment? 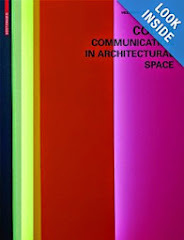 Studies have shown there is evidence that color application and learning environments are codependent. Heinrich Frieling of the Institute of Color Psychology tested 10,000 children ages 5 to 19 from around the world. According to the child’s psychological development level, the tests showed certain colors appealed to different age groups. . Dr Ellen Grangaard, in her doctoral thesis for the IACC, used the Frieling color palettes for classrooms pairing age and color preference and found off task behaviors declined and academic standing improved. The Wolfarth Study conducted in the 1980’s, studied the effects of light and color on elementary students for a full school year. The results showed carefully selected color and light lowered blood pressure and stress levels, reduced disruptive behaviors, and improved academic performance and IQ scores. 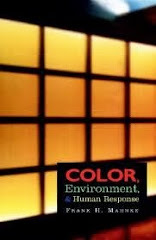 Color deprived environments are bland and uninspiring. 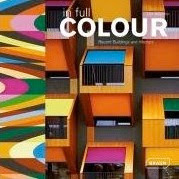 By introducing color, one can heighten the sense of movement and exploration. 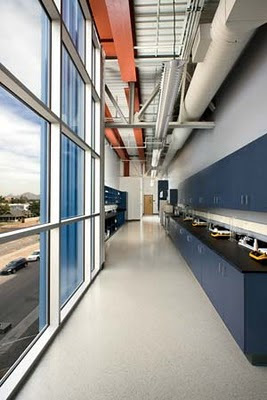 Colors in corridors and public spaces such as lunchrooms, and gymnasiums can be dynamic and energetic. Colors in classrooms, libraries, and science labs can be calibrated to the activities occurring specific to those tasks. Carefully selecting colors and placing them strategically in rooms could improve learning and concentration. 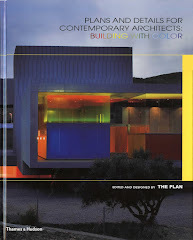 One pioneer worth mentioning in the field of school color is Ruth Lande Shuman. Shuman founded her nonprofit, Publicolor in 1996 in New York City. The non-profit has enhanced over 95 school environments by involving students in improving the looks of their school with paint. The program has an environmental benefit which is what I am most interested in promoting. The secondary benefit is social as the non-profit instructs disenfranchised students in the trade of painting. 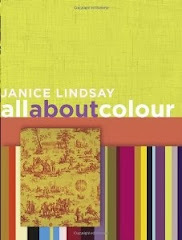 There is no formulaic approach to color for school. The Frieling work established color preferences by age group, but this does not translate to every school in every culture or geographic locations offering classes to elementary students should be a specific color. The work of Publicolor does not mandate that each schoolroom should be bright stimulating color no matter what its function. What I am acknowledging is we need to heighten our awareness and acceptance of the role of color as a tool to shape behavior and enhance experience in the academic setting. Hi! My name is Ally and I am a high school student. 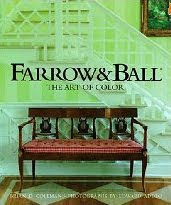 For Health class I am doing a research paper on color and the brain. I researched the question. 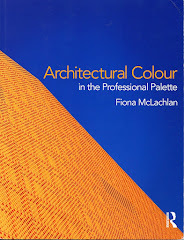 "How does the color on the walls affect the way you learn"?. I am glad to see that most of what I read in your blog supported the information I found while doing research. One of the biggest things that I found in both was about how age matters when it comes to how certain colors affect your learning and concentration. I also found that certain colors highlight certain parts of the brain and school campuses should really take into consideration the color used in classrooms. They should pay attention carefully and try to pick a color that will best suit the children and improve their learning. I am really glad I found this blog to better my research paper and support the information I found. Thanks!! !